It could be one of a thousand soccer fields scattered throughout the United States. Grade-school children in their uniforms running up and down the grass shouting to one another as parents cheer them on. An ordinary Saturday afternoon event repeated in countless American towns. Except that in the center of this field, surrounded by screaming children who fly by him, is a boy in a wheelchair propelled by another boy, and they, too, head in the direction of the ball. The boy's father and mother stand at the sidelines watching the action. Tanya and Frank have three children, two girls and a boy who is their oldest. Their son Andy was born with cerebral palsy, an extremely severe case that not only leaves him physically disabled but very cognitively impaired as well. Despite this, Tanya especially knows how to communicate with him and reads his expressions easily. In fact, he shows his temper in no uncertain terms-smiling or glowering with an intensity that is hard to ignore. Tanya is determined to fight for her son's rights to good schooling, and she is fierce in her determination to stand up to school board members, principals, and other public officials to try to get good care for her son. "It's my Jamaican blood," she laughs in justifying her willingness to battle authorities. But it was her husband Frank who she credits with opening her eyes about her son's capabilities to participate in everyday children's activities that she would have shielded him from. Her husband is an athlete. When the economy was better, he was a personal trainer at a gym, and he is a natural at many sports. A son, his son, should love sports as much as he does, he maintained. Even when Andy was quite young, Frank devised a host of creative ways to bring him into favorite family sports played with his two younger sisters. He installed a basketball hoop in the backyard, and he and Andy would "shoot hoops" together as he lifted him out of the wheelchair high enough above the rim so that Andy could drop the ball and score a goal. When Andy got older and bigger, Frank decided that he should get Andy involved in the local children's soccer team. Although it was a "special needs" soccer team, the children had cognitive disabilities rather than physical ones. Certainly none used wheelchairs or had the physical frailties Andy did. Tanya was terrified and absolutely refused. She and her husband fought about this for several years. What if he falls? she worried. Soccer can be a rough sport. He is so medically fragile-what can he do in his wheelchair? But her husband prevailed and she let her son go on the field. During one of those games, just as she feared, children accidentally knocked over his wheelchair and he toppled down. But, to her great surprise, he was not only okay; he didn't even seem to mind. He didn't act frightened at all. "Oh I was scared to death," she recounts. "But I guess my husband was right. I didn't realize I was holding Andy back, not letting him be the kid he should get to be." This is a story she has told more than once. It moves her every time. It catches her up short, this realization that despite all her determination that others see her son as capable, she herself underestimated him. How might we think of Tanya's situation as an ethical problem? How, more specifically, does it pose a problem for her as related to her practices of care? Tanya is one of the parents I have come to know through the years as my colleagues and I have carried out an ethnographic study of African American families in Los Angeles who are raising children with severe disabilities and chronic illnesses. Parents are called upon to try to ascertain what is best for their children and for themselves in the changing circumstances of everyday life and in midst of the many other tasks and problems that they must simultaneously address. This is, in other words, a complex reasoning task that engenders ongoing moral deliberations, evaluations, and experiments in how to live. In the face of the suffering and challenges of their children, parents often find themselves propelled in a quest to imagine a new sort of life for themselves or to become different kinds of persons. They are propelled into a new, often unexpected and unwanted project of becoming. Suffering can engender new or intensified moral responsibilities. These, too, may demand a transformative effort to reimagine not only what will happen, but also what ought to happen, or how one ought to respond not only to difficulties and suffering but also to unexpected possibilities (Mattingly 2010a). The work of care, in other words, demands the work of cultivating virtues to be, for example, a "good enough" parent. As one father put it, you have to "step up to the plate" to raise a very sick child, and this can prove an almost impossible feat. Parents' ability to respond to the call or needs of their vulnerable children, and to create a social world in which their children can be better cared for, become primary moral projects, often superseding their own personal dreams and goals. Furthermore, these are social moral projects that change shape over time, requiring the development of communities of care, an expanding "we" that brings together an array of people outside the immediate family, including neighbors and friends, other parents, and clinical professionals. The ethnographic heart of this book has emerged from a research project that began in January 1997 and continued until 2011. It has followed African American families residing in Los Angeles County, many from South Central LA. The research has been carried out by a larger, interdisciplinary research team under the direction of Mary Lawlor and myself. I have described the parameters and key questions motivating the research elsewhere (see especially Mattingly 2010b), and I do not go into much detail here. The study is officially over, though a number of us who constituted the core research team continue to be in contact with these families. There have been close to fifty families in the study altogether (and approximately thirty at any one time). Twenty of them participated for more than ten years. Because I have known the families I write about for so many years, I have had the chance to consider, from many angles and over time, what it has meant for various members of the family to undertake these arduous projects of care. Although I rely upon what I have learned from this wide range of participants, in this book I concentrate primarily upon five families. Mostly I speak of mothers or grandmothers, because in our study they have been the ones most involved in bringing up the children. However, not only mothers but also fathers, aunts, older siblings, even cousins can play a central role in providing care. Their voices too are periodically heard. The work of raising "good" children is a "universal function of the family," anthropologists have argued (Och and Kramer-Sadlit 2007). Focus upon the family as a primary moral site is especially pertinent within the African American community, where, for many historical, political, and economic reasons, including systematic exclusion from the public life of work and career, the domestic space of the family and the care of children have served as an essential ground project. Many factors, including poverty, have also propelled African American families to be flexible and creative in their kinship arrangements. The importance of family, with a mother or grandmother often functioning as the ethical lynchpin, is a well-known feature of African American life and moral discourse. In the context of African American families, one cannot overemphasize the centrality of what Collins (2000) has called the "Superstrong Black Mother" as a highly valued moral ideal around which a whole constellation of virtues have been extolled and, in the hands of black feminist scholars, also problematized. This ideal type centers upon the primary task of care for and protecting others, especially one's children. These qualities and virtues include being "self-reliant and resourceful," "assertive," "self-sacrificing," and, above all, as the name implies, "strong." This overarching quality of strength so often associated with the "stereotypical black woman" encompasses a range of other related or synonymous attributes, including being "authoritarian, compelling, competent, courageous, decisive, emphatic, fiery, firm, loud, persistent, powerful, tenacious, vigorous, and zealous" (Blackman 1999:105). Although not all of these characteristics may seem to be virtues, scholars of African American experience have argued their historical necessity from slavery onward and note that they continue to be essential attributes for black women living within a contemporary and still racist America. Strength, in all its many forms, is needed, because the task of caring for and protecting oneself and one's family demands struggle-or to borrow an old expression once used by formerly enslaved black women-it demands one "straggle," which means to "struggle, strive and drag all at once" (Miles 2008:101). Feminists have emphasized that this portrait of good motherhood equates it with a relentless willingness to strive and struggle, even a kind of martyrdom. "Strength" has operated as a "cultural mandate," a moral imperative "to exhibit an automatic endurance to a life perceived as filled with obstacles, unfairness, and tellingly, a lack of assistance from others" (Beauboeuf-Lafontant 2007:31). As a Superstrong Black Woman, one is inevitably guilty, already sentenced. Life itself is a matter of "doing hard time." Feminists have challenged morally idealized representations of the "Superstrong Black Mother" even when acknowledging that it represents important qualities African American women have had to cultivate. There are resonances between this critical feminist perspective and the views expressed by many of the parents. They would generally concur that being a strong black mother (or father) has meant unrelenting sacrifice and the postponement or abandonment of personal dreams. It has also meant confronting the ways they fall short of this ideal. But I suggest throughout this book that the moral demands these parents face are not adequately captured by the difficulties of living up to the performative requirements of this subject position. It is not merely (though this is no small thing) that they may feel imprisoned by a position that is too difficult to attain, or by the need to perform a role against their own inner feelings or desires. Moral life poses even worse difficulties than this. Performative troubles often pale against the life-and-death struggles so many of their children face and the kind of demands this places upon parents. Again and again, I return to the moral perils parents encounter as they undertake in the task of trying to become Superstrong Black Parents. I look especially at how often their lives are threatened by moral tragedy. 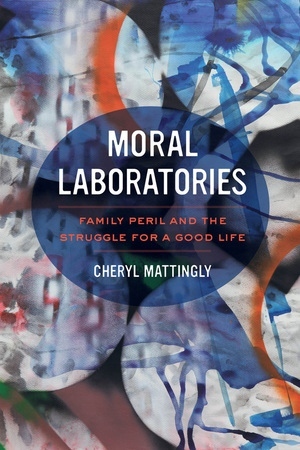 Moral Laboratories is an engaging ethnography and a groundbreaking foray into the anthropology of morality. It takes us on a journey into the lives of African American families caring for children with serious chronic medical conditions, and it foregrounds the uncertainty that affects their struggles for a good life. Challenging depictions of moral transformation as possible only in moments of breakdown or in radical breaches from the ordinary, it offers a compelling portrait of the transformative powers embedded in day-to-day existence. From soccer fields to dinner tables, the everyday emerges as a moral laboratory for reshaping moral life. 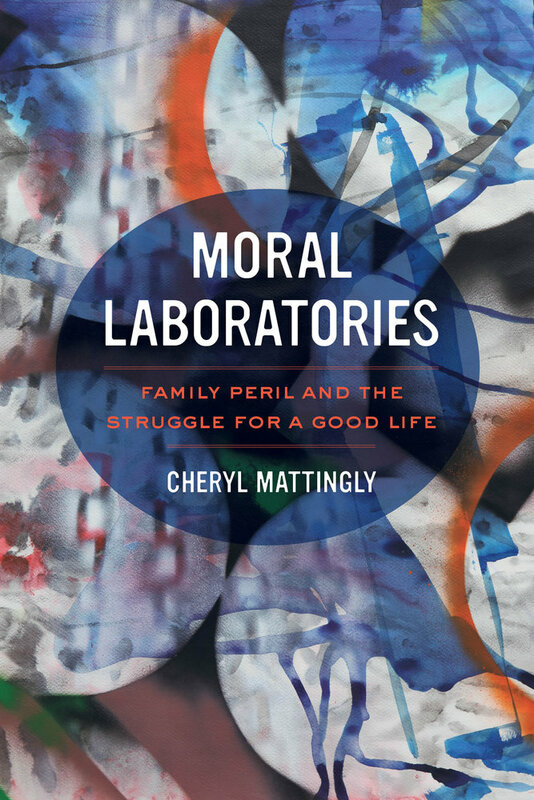 Cheryl Mattingly offers vivid and heart-wrenching stories to elaborate a first-person ethical framework, forcefully showing the limits of third-person renderings of morality. Cheryl Mattingly is Professor in the Department of Anthropology and the Division of Occupational Science at the University of Southern California. She is also a Senior Fellow at the Institute of Advanced Studies, Aarhus University, Denmark. She is the award-winning author of The Paradox of Hope: Journeys through a Clinical Borderland and Healing Dramas and Clinical Plots: The Narrative Structure of Experience and coeditor, with Linda Garro, of Narrative and Cultural Construction of Illness and Healing, among other books.